Sam Ergina is a Canadian from Montreal and one of two Arcade Editors. For those who don't know what Arcade is (most don't), it is The Hullabaloo's arts and entertainment section. Sam is a senior majoring in linguistics and economics. He first joined the newspaper as an incoming freshman with the Summer Journalism Experience and has been writing since. He is currently in his second year as an editor for The Arcade. 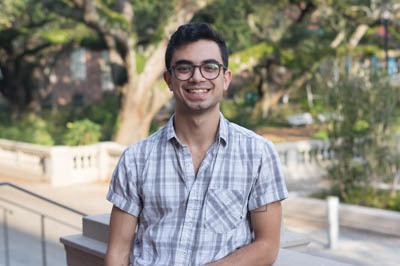 He is motivated by a passion to explore all of the artistic and cultural aspects New Orleans has to offer, one concert, gallery or meal at a time.